From his hometown of Toronto, Canada, Andrew McDonnell has spent most of the last decade earning a reputation as an open-minded, forward-thinking DJ with a positive attitude and a penchant for delivering the goods. Andrew is both a qualified audio engineer working in broadcast television and a studio workhorse dedicated to producing grooves for the underground. As a DJ, Andrew supplies a unique, groove-driven sound that touches the better parts of house, techno and progressive. His DJ sets have placed him front and centre in Toronto’s finest clubs – including The Guvernment, Footwork, Sound Academy, Cobra and Comfort Zone – and earned him a residency with Canada’s longest-running major dance music event company, Destiny Productions. Andrew’s original productions have earned similar respect. Urbantorque A&R man and Renaissance stalwart Neil Quigley recently called Andrew’s Lyrics on House (Apollo Records) “particularly enjoyable,” while Nic Fanciulli flagged one of Andrew’s remixes as a finalist for a recent Saved Records remix competition. 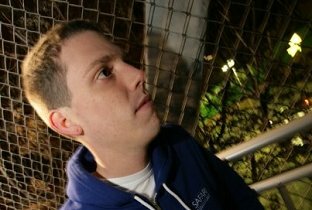 In September of 2010 Andrew’s new Deep South EP earned the much coveted featured release designation on the main page of Beatport.com the week of its release, with the leading cut from this release, Jim Bob Duggar, landing prominently on Hernan Cattaneo’s chart in the weeks prior. Andrew also enjoys a close relationship with Proton Radio. 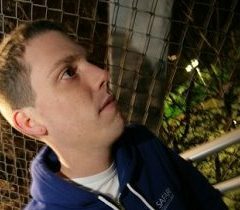 His first major foray into online radio was a guest mix put together for Proton Radio – an invitation extended by Proton after Andrew’s first Proton release, Edo on Proton Limited. The guest mix caught the attention of countless listeners, quickly landing on Proton’s “Top 10” most listened-to list for the month. From there, Andrew was offered a series of opening-hour slots of Proton’s flagship show “Proton GT”, the popularity of which led Proton to provide Andrew his own monthly show, Groove Control. The show, which debuted on September 9th 2010 as a top 100 mix for the month, runs for an hour every second Thursday of the month at 9am Eastern Standard Time / 1400 GMT.